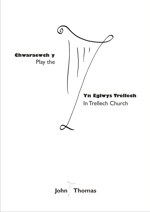 As publicity for the European Harp Symposium held in Cardiff in 2007, Charlotte Poulter and John L. Thomas organized a tea party at Trellech Church. It was a success and has been repeated every year around the end of April. 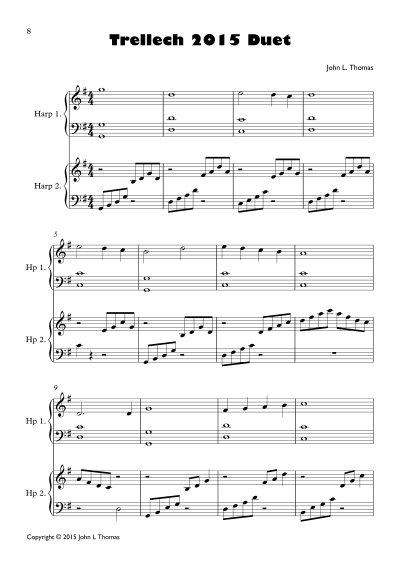 This is a collection of some of the music played in the tea parties. We hope you enjoy playing them. John and Charlotte. The book has 4 duets and 3 solos, the duets are included as both score and individual harp parts in the players book.